Present-day York, in North Yorkshire, England, dates back to at least the Roman era (although likely even earlier), when it was founded as the Roman fortress of Eboracum, and in its prime was the provincial capital and the largest town in Northern Britain. After the fall of the Roman Empire and withdrawal of Rome from Britain, Eboracum became an Anglo-Saxon trading centre called Eoforwic. 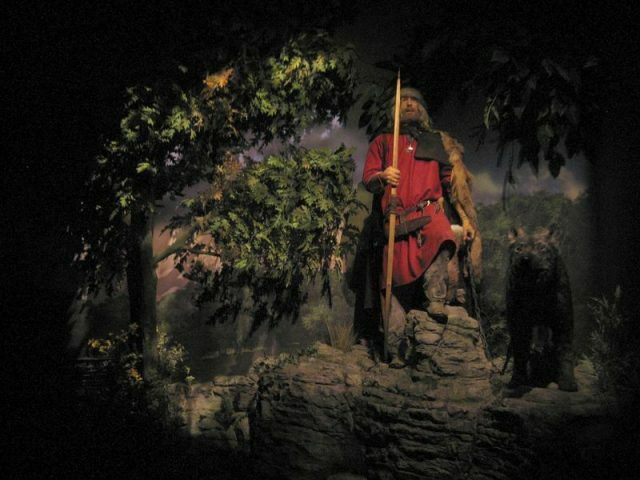 It came under Danish control in 867 A.D., and Jorvik was born. The term Jorvik actually referred to a greater area than just the urban settlement; it included the south of Northumbria, or much of modern-day Yorkshire. Even once it was controlled by the Danes, the area was still subject to invasion and short periods of rule by the English in the mid-10th century, until it was annexed by England in 954 A.D. Jorvik, or York, had great economic importance in the region, possessing a mint, and the Viking king Guthred was buried in York Minster. Eventually, after the Viking kingdom was absorbed into England, the title King of Jorvik eventually became that of the Earl of York in 960 A.D.
Fast-forward a little over 1,000 years to 1976 when the York Archaeological Trust began a five-year excavation in the vicinity of Coppergate in central York. 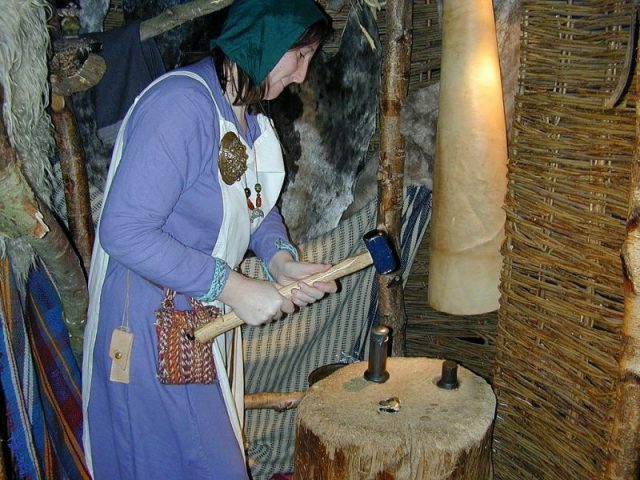 During the archaeological dig, remains were found of several wooden structures dating from Viking Jorvik, as well as metal, leather, textile fragments, pottery, metal, and bones. 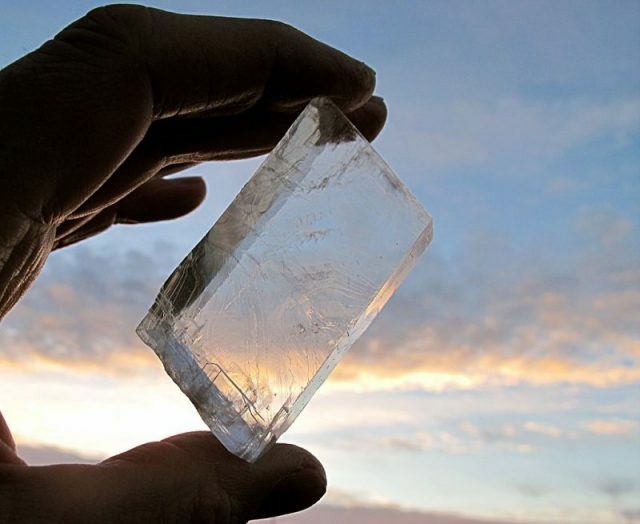 Although the site was 1,000 years old, the items were well preserved due to the wet clay soil, which deprived the artifacts of oxygen, therefore preventing them from disappearing completely. Over 40,000 objects were uncovered in the end. As a result of this treasure trove of Viking objects, the Jorvik Viking Centre was opened in 1984–less than 10 years after the dig started. 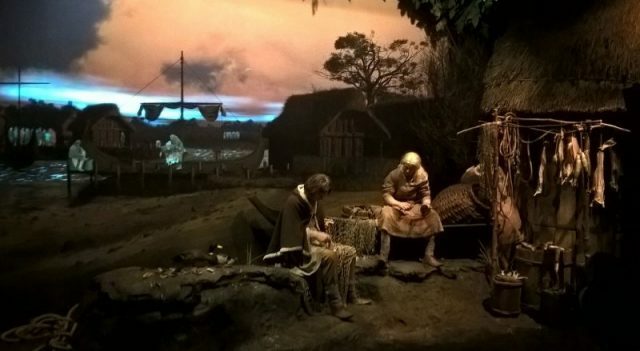 The York Archaeological Trust used the evidence found at the site to re-create part of what a streetscape in Jorvik would have looked like, complete with lifelike mannequins, soundscapes, and even smells, including the fish market, pig sties, and latrines. 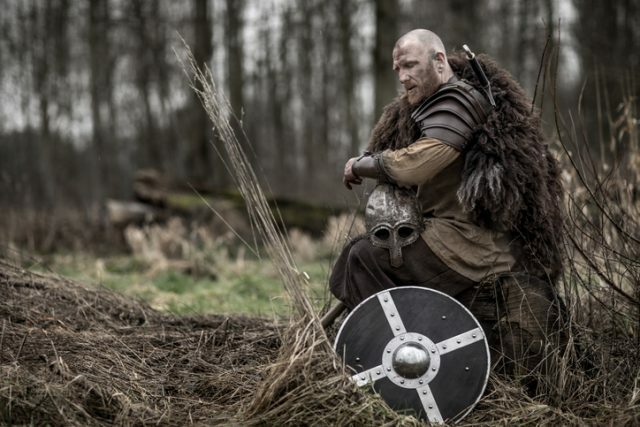 This multi-sensory experience completely immerses visitors in the Viking age, and gives them the chance to step back in time, even if only temporarily. The center underwent extensive renovations in the early 2000s, and reopened as a “new and improved” version in 2017. The Ride Experience, which visitors take through the re-created town, is now a bit slower, allowing more time to take in all of the sights, smells, and sounds. The traditional museum area includes about 800 items from the archaeological site, as well as interactive displays and museum staff in character as people from the era portrayed. Even the mannequins have been carefully thought through. Facial recognition technology was used to re-create the highly realistic figures based on human skulls found in a cemetery that dates from the Viking Age. 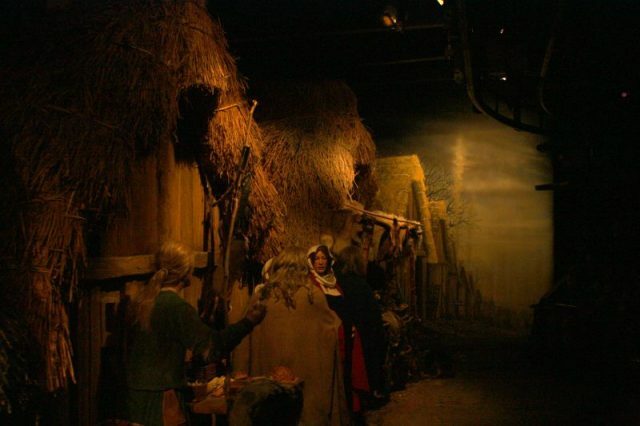 Visitors encounter many characters at Jorvik, including the Hunter and his dog, a slave trader, blacksmith, fisherman, weaver, and an Arabic trader. Interestingly, in addition to a Viking storyteller, there is also a priest, acknowledging that while the Vikings who came to Britain’s shores were not Christians, they adopted the religion relatively quickly, and there is evidence of a Viking-age church to the rear of Coppergate. One of the great appeals of the United Kingdom, and indeed Europe as a whole, is the layering of history that can be found almost everywhere. York is a prime example of such layering–from pre-Roman through the Roman era, Viking, medieval, and modern, all mixed together in one city. The Jorvik Viking Centre is a must-see in York, but happily just one of several sites of great interest there, and throughout Great Britain. By now many of us are at least to some extent acquainted with Sir Thomas Malory’s classic tale of the Lady of the Lake and how she gave Excalibur to King Arthur, or the tale told in Robert de Boron’s poem of Merlin about the magical sword in the stone that could be drawn out only by the rightful ruler of the land. They differ in some aspects, but both speak of the same Arthurian legend and a mighty sword that could only be swung by a man worthy to hold it in possession. This story about a powerful weapon identified with a single hero is as old as time. Whereas in this specific legend it was Excalibur for King Arthur, ancient Greek mythology speaks of many magical swords. Other legendary blades include Crocea Mors, the sword belonging to Julius Caesar, which was considered to hold supernatural powers, and for Attila the Hun it was the Sword of Mars. Most recently, in George R. R. Martin’s A Song of Ice and Fire, it is the Lightbringer, the sword of Azor Ahai. 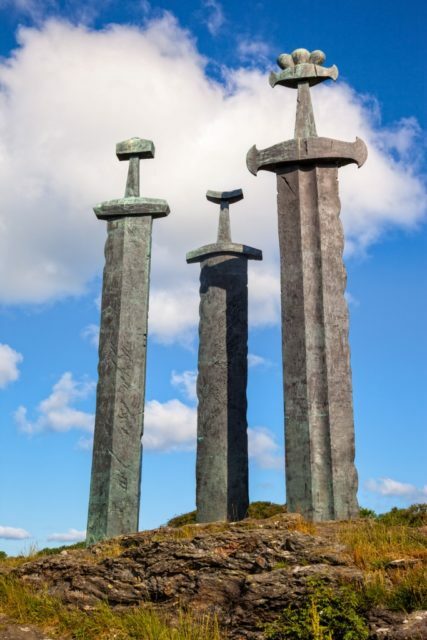 While all these stories tell of individuals who drew their swords out of fire or a stone to aid mankind in times when it was needed the most, a statue in Norway speaks of a time when groups and individuals put their petty differences aside and even buried them, so they could put an end to bloodshed and stand united under the same flag. Little is known of the particular event, but what information that exists points to a great battle that took place in 872 on one of the fjords in Norway. The Battle of Hafrsfjord, as it is known today, was the result of a long-lasting conflict between three different factions and their leaders in Western Norway, among whom was Harald Fair Hair (Harald Hårfagre), son of Halfdan the Black Gudrödarson. “The Saga of Harald Fairhair” (Heimskringla) is a Scandinavian saga that was written two centuries after the event. According to the story, the Hordaland-Rogaland and Agder-Thelemark factions were advancing with their troops towards Hafrsfjord, they were met there by the strong force of Harald Fair Hair, who was on a mission to unite the Norwegians who up until then lived in small tribes and villages. The Norwegian tribes led a warring life, constantly fighting with one another. According to the legend, Harold, who was in love with Gyda, the daughter of King Erik of Hordaland, had to convince her of his love and devotion by uniting the tribes and thus putting an end to all the fighting between them once and for all. He was the son of a king who wanted to marry the daughter of rival one, and she was the daughter of a king who despised the man who wanted her hand. So marriage was not an option if peace between the two was not reached. Harold, prior to the battle, had taken rulership over several small kingdoms in Vestfold, and continued with his conquest believing that negotiating peace from a position of strength would bring more fruition to his noble cause, and a better chance to negotiate the terms with the father of his loved one. But as he was growing in strength and force, the other kings allied against him and planned a secretive attack. News spread from the south that Erik of Hordaland, King Sulke of Rogaland, Earl Sote, the King of Agder and brothers Hroald and Had the Hard from Thelemark had joined forces and were headed towards the mainland with a large fleet. This was a clear indication that an imminent attack was on the way and there was no space for a peaceful resolution. As a result, Harald assembled his troops and intercepted them at Hafrsfjord, where a great battle was set in motion, in which many, including King Eirik, lost their lives. In the midst of all the dead bodies spread around the battlefield, Harald was the last man standing and his troops fortunate to see the light of day. Many fled to the nearby Icelandic islands, and everyone left on the land came to live united under the rulership of King Harald Fair Hair, the first King of Norway. His mission was completed. Harald got to marry Erik’s daughter, but at a devastating cost. This story is more of a romanticized legend than of actual historical evidence, and complete peace and unity took probably hundreds of years to be achieved. However, this battle is considered the greatest contributor to the unification of Norway into one country. 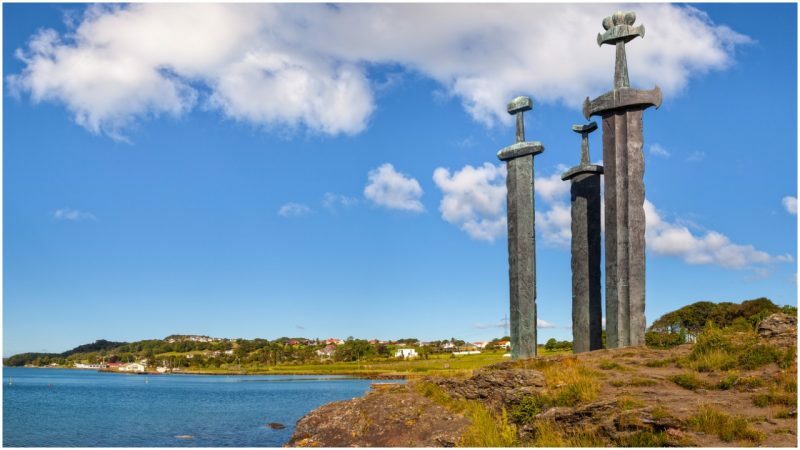 Three giant Viking swords are now forever embedded in solid stone on a Nordic hill in Hafrsfjord, and stand tall against the sun as a reminder of an ancient battle that eventually unified the kingdoms of Norway and its people into one nation. 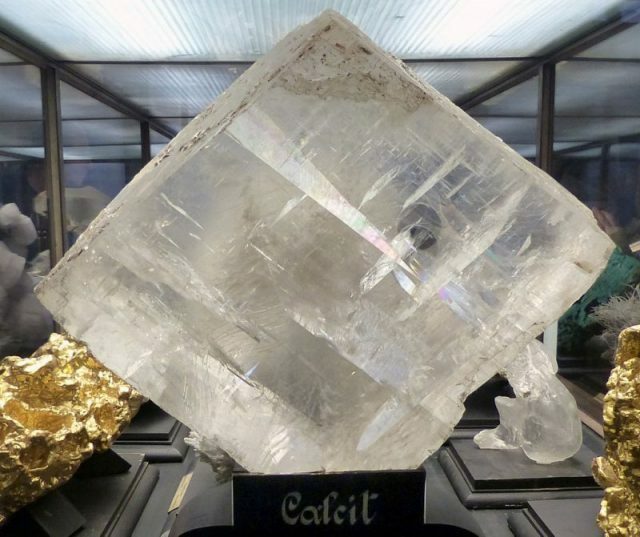 The swords were forced through solid rock so that they can never be removed and such a battle never to occur again. 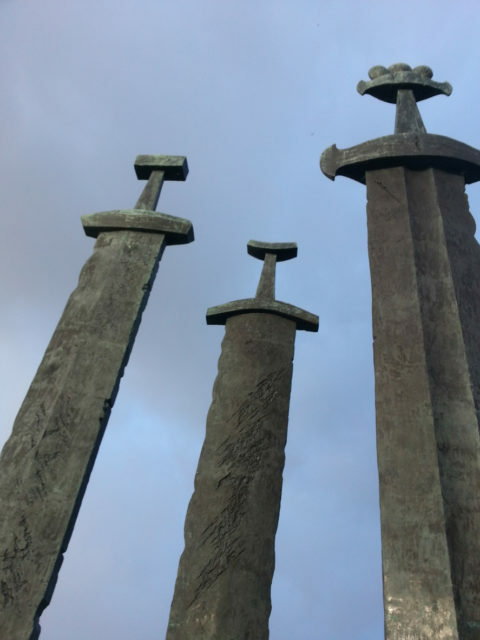 They stand for peace, unity, and freedom, and the place where they are impaled is near the city of Stavanger in the Rogaland region. It stands proudly as a tourist attraction, and a historical reminder for Norwegians never to draw a weapon again against fellow countrymen. From 793 to 1066 CE, hearing the words “Viking” or “Norsemen” would put just about anyone on edge. The group was notorious for sailing their longboats into harbors and viciously attacking the people there—stealing all the available loot, taking slaves and killing just about everyone else. But this bad behavior tells only part of the Viking story. “All Vikings were Norsemen, but not all Norsemen were Vikings,” historian and Viking Cruises lecturer Patrick Goodness told Smithsonian.com. “They became Vikings when they went out plundering; they went viking, as a verb.” Eventually, the term morphed into a classification for the entire community. Both sides of the population, though, were inspired by the same sentiment: to go out and find new land. Some wanted to explore and plunder, but others simply wanted to discover more fertile lands to farm and settle peacefully, moving ever westward from Europe toward North America in search of the perfect spot. They traveled by longboat as the crow flied, settling in several distinct paths we can still track today. So grab your helmet and shield and hop on a boat—now you can follow one of those paths of Viking Norsemen, from their original settlement in Norway across the Atlantic to their first settlement in North America. Since the beginning of the Viking age, the group of settlers and raiders ruled the western coast of Norway and much of Scandinavia. 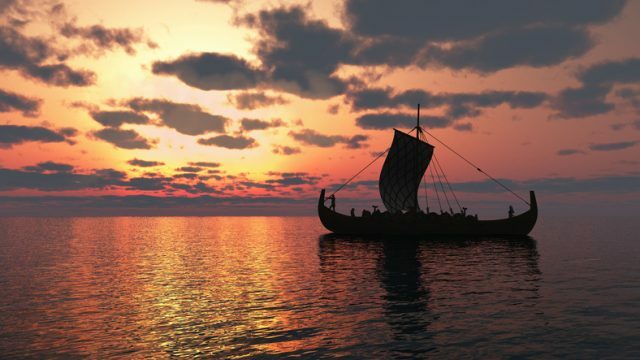 The Norwegian Vikings were among the most adventurous, sailing and plundering along their path to North America long before Columbus arrived at the continent’s shores. Here, in seaside towns like Bergen and Stavanger, once a major Hanseatic League trading port, the Vikings built their longships that would take them around the world. 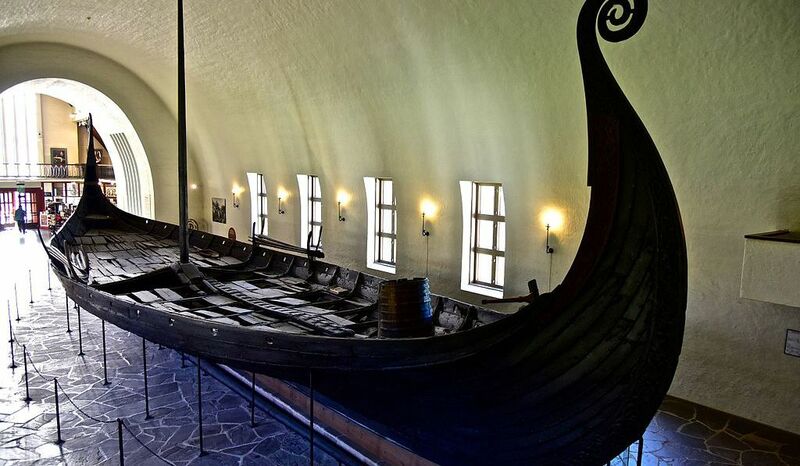 What to see: The Bergen Maritime Museum has a selection of Viking longship models, but to see the real thing, head to the Viking Ship Museum in Oslo, which has the three best-preserved ships that have been found to date. 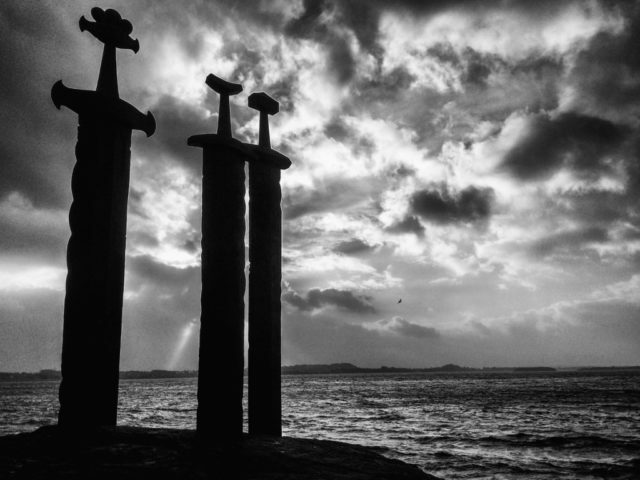 For a decidedly more modern sight, head a bit south of Stavanger to see three gigantic metal Viking swords sticking up from the shoreline. 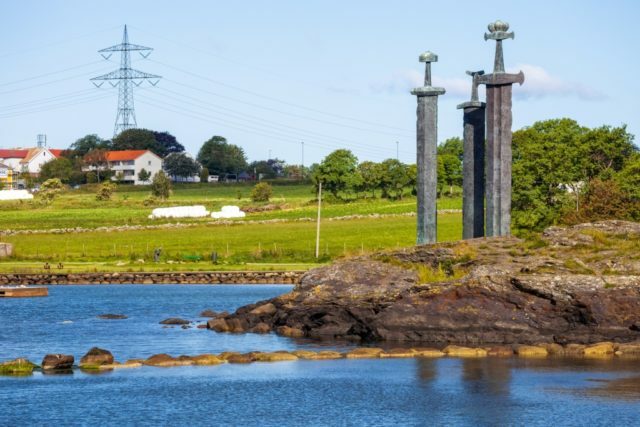 The monument, unveiled in 1983 by King Olav, commemorates Viking King Harald Fair Hair’s success at uniting the three kingdoms of Norway into one unit. The Vikings arrived in Shetland around 850, and the Norse influence can still be seen today throughout the area; in fact, 95 percent of the place names in the Shetland Isles are still the original Old Norse names. 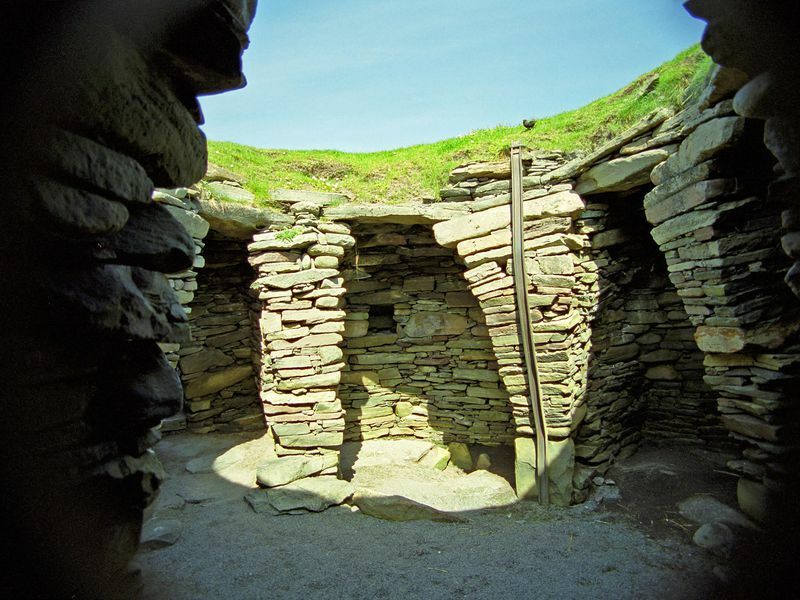 More than 30 archeological sites on Unst Island alone hold evidence of Viking homes and settlements. Even the dialect of present-day Shetland residents has a healthy sprinkling of Old Norse words leftover from Viking rule. And, depending on who you ask, you may be able to get a ride out to Tingwall Valley, where the Vikings held their parliamentary sessions on a small peninsula in a lake. For the next 600 years after arrival, Vikings and Norsemen ruled the Shetland Islands. But in the late 1400s (after many Vikings had already sailed on to greener pastures in different countries), Norse rule abruptly ended; the Shetland Islands became officially Scottish as part of a marriage treaty between a Scottish prince and a Danish princess. 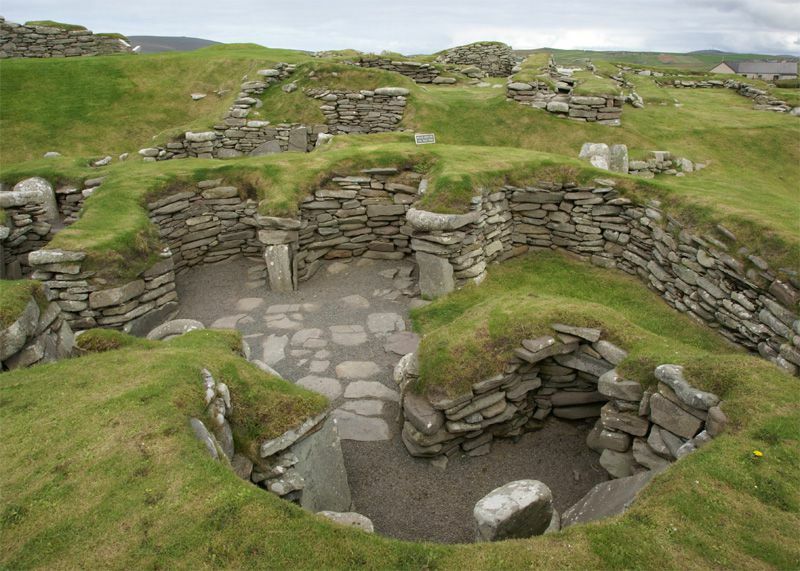 What to see: Jarlshof on Mainland Shetland is one of Scotland’s biggest archeological sites, a huge complex documenting more than 4,000 years of settlement on the islands. Not only will visitors find ruins of a Viking longhouse, but they’ll also explore Neolithic homes, Bronze and Iron Age settlements, medieval farmsteads, and a laird’s house from the 1500s. 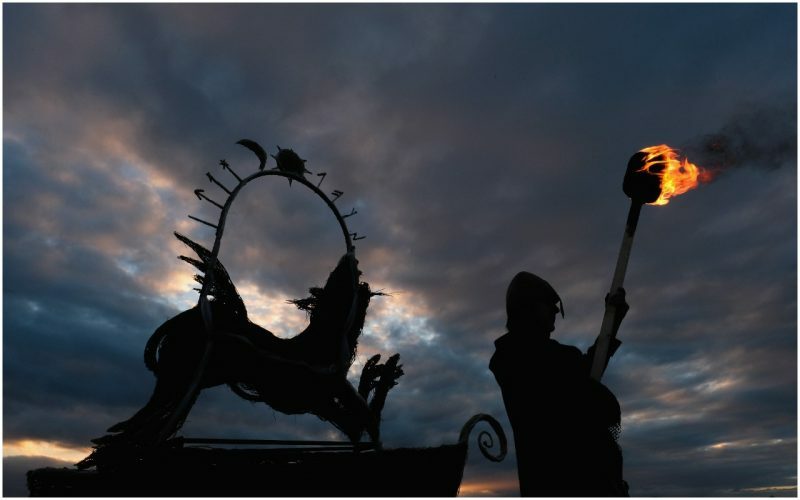 And don’t miss Up Helly Aa in Lerwick, among the largest fire festivals in Europe. Viking descendants follow a Viking longship in a huge procession, all carrying torches, and at the end of the route, the boat is set on fire. Even though the name for the Faroe Islands themselves, Føroyar, is derived from the Viking Old Norse language, they actually weren’t the first to find the region. “The Islands were founded by Irish monks,” Gunnar, a tour guide on the main island Streymoy, told Smithsonian.com. 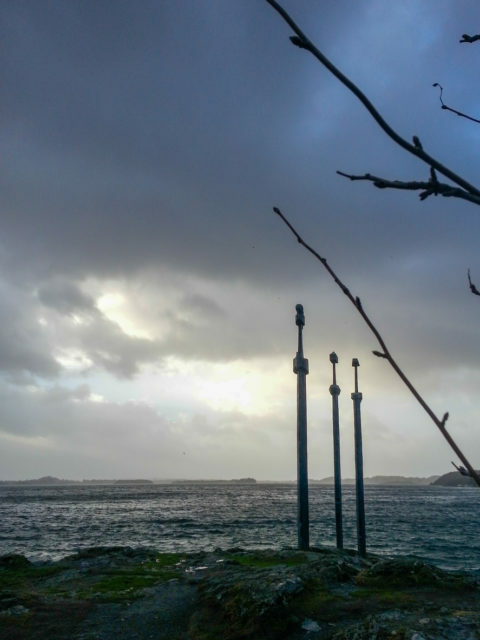 “Then the Vikings came and suddenly there were no more monks.” The Vikings arrived in the 9th century and quickly established a parliamentary meeting site at the tip of what is now the capital city, Tórshavn. That spot in the city is now known as Old Town, known worldwide for its red buildings with turf roofs and cobblestone streets. Coincidentally, the Faroese parliament still meets in these buildings, giving Tórshavn the distinction of being the oldest functioning parliament in the world. Don’t miss the Viking-carved compass rose and runes at the end of Old Town’s rocky peninsula, right by the flag pole. What to see: From the Faroe Islands’ capital Tórshavn, it’s an easy drive to seaside Kvívík, where you can find a 10th-century Viking settlement. The ruins are right in the middle of the village—also one of the oldest villages in the Islands—and contain longhouse and barn foundations. The southern end of the site has been washed away by the sea. 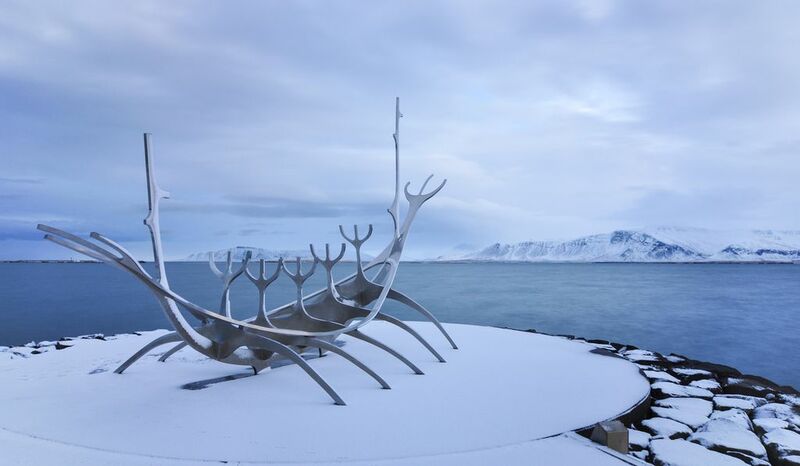 Vikings settled in Iceland’s capital city, Reykjavik, in the 800s. They let the gods decide exactly where they should settle by floating a wooden chair across the water from one of the longboats: wherever the chair landed, the city should be. By 900 AD, Goodness said, more than 24,000 people lived there. It was a time of peace for the plundering Vikings. Today, more than 60 percent of Icelanders are Norse, and the rest are mostly of Scottish or Irish heritage, many of their ancestors having been brought to Iceland as slaves by the Vikings. What to see: Traces of Viking heritage are all over Iceland—the country even has a Viking trail you can follow—but for a good look, head to the Settlement Museum in downtown Reykjavik. 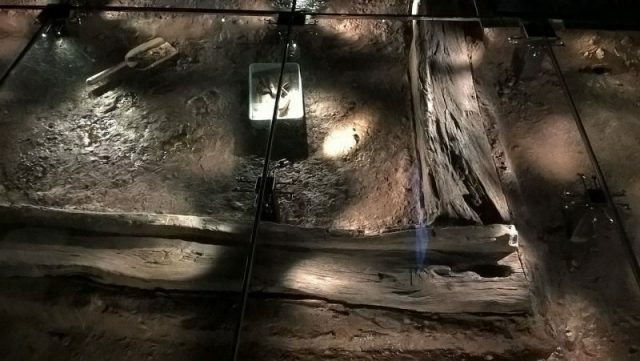 Here, ruins of a Viking settlement are preserved in an underground exhibit. And across the hall from the longhouse, ancient saga manuscripts are also on display. In 982, Erik the Red committed a murder in Iceland and was exiled for three years as a result. He sailed off to the west, finding Greenland and spending his time in exile there. During that time, Goodness says, Greenland may actually have been green, covered with forests and vegetation, as the Viking would have landed during the Medieval Warm Period (believed to be about 900 to 1300) when sea ice decreased and crops had longer to grow. After his sentence ended, Erik the Red sailed back to Iceland to convince other settlers to follow him to this new promised land. In 985, he and a fleet of 14 longships arrived to settle the southern and western coasts. The Vikings continued to live on Greenland for about 500 years. 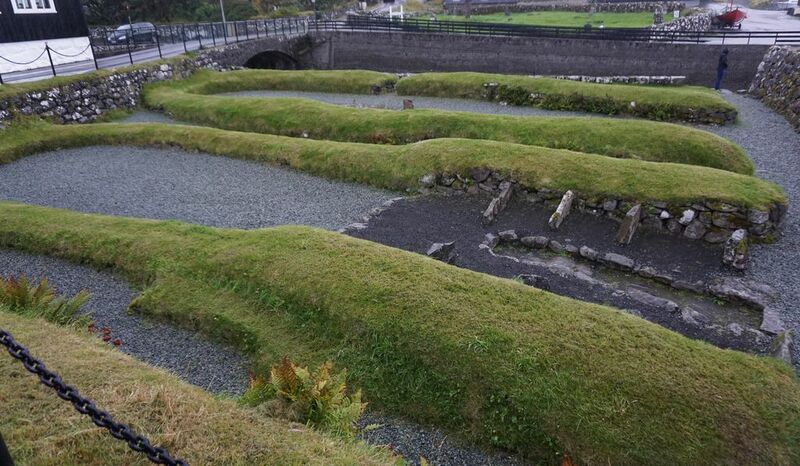 Remains of Erik the Red’s settlement date back to about the year 1000, along with ruins of around 620 farms. At peak population, the Norse numbered around 10,000 people in the country. And then, suddenly, the community vanished with no explanation and no written record explaining why. However, historians have ultimately been able to explain it: “It was too hard to live in Greenland and they got tired of it,” Goodness said. 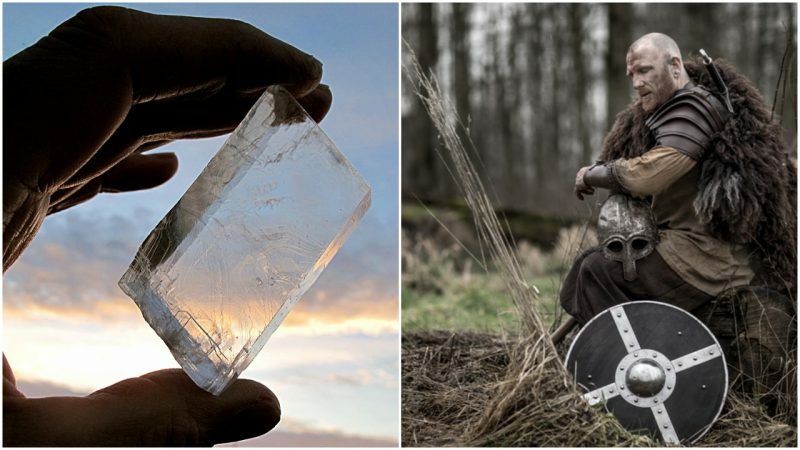 “They thought it was better to leave than stay in such a harsh climate.” Over time, the temperature was getting colder so farms were no longer workable, and the Vikings never learned to effectively hunt the region. The Inuit were inhospitable; fights broke out frequently. At the same time, Norway had been stricken by the plague, so many farmsteads there were left abandoned. A group of the Greenland settlers was known to have headed back to Norway to take over the land, and another sailed onward to Canada. 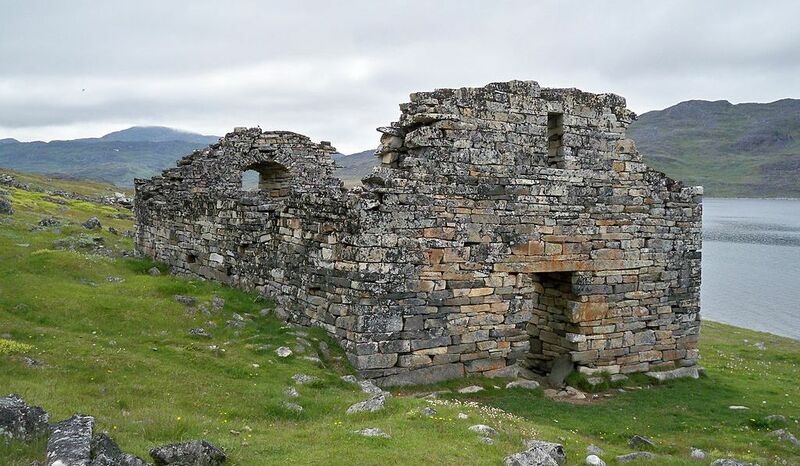 What to see: Hvalsey Church is the best-preserved Viking ruin in Greenland. Most people choose Qaqortoq as their base for trips to see the church. It appears to have been built around 1300, and only the stone walls remain. Hvalsey has a unique history itself, as well—in 1408, a wedding was held at the church, with many Norse attendees. The written account of that event is the last word that ever came from Greenland’s Viking population. To see the first Viking settlements in North America—found 500 years before Christopher Columbus set foot there—head to L’Anse Aux Meadows. The Vikings first arrived here from Greenland in the late 10th century, led by Leif Erikson. 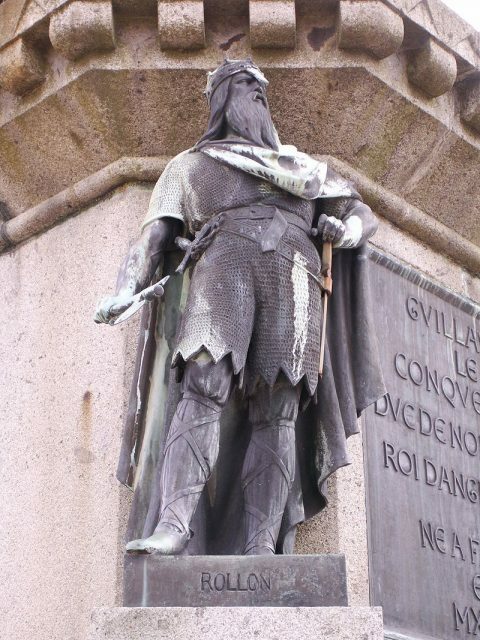 He initially called the land Vinland (though the exact location of Vinland is disputed), because when the Vikings arrived they found grapes and vines. Spurred by Erikson’s success, more than 100 Vikings followed to settle at this spot. Prior to its discovery in the 1960s, this North American settlement was only referenced in two ancient sagas. 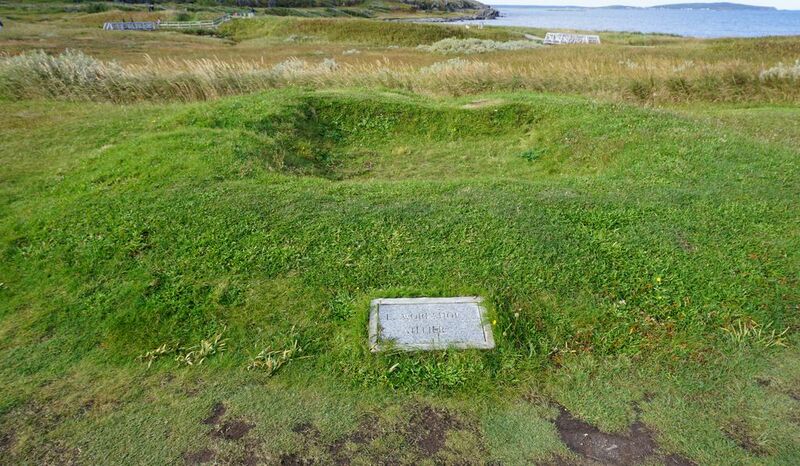 What to see: The archaeological site at L’Anse Aux Meadows has two main components: the actual ruins (visitors can stand inside the foundation of Leif Erikson’s own house) and a recreated Viking trading port nearby called Norstead. Here, you’ll see a unique juxtaposition of what life was believed to have been like for the Vikings and what rubble remains today.